Paul Hillier specialises in vocal groups. In 1973 he founded and directed the the Hilliard Ensemble, taking this male-voice quartet to the peak of international recognition. In 1990 he moved to California and created the Theatre of Voices, to explore a greater range of musical styles using a more flexible cast of singers and instrumentalists. While teaching at the University of California, Davis, he presented an annual Festival of Voices and began to tour the USA with his new ensemble. At the same time he began a long and fruitful association with Harmonia Mundi USA, often recording among the vinyards of George Lucas’s Skywalker Ranch. He remains grateful to U.C. Davis for the opportunities it gave him including, among many other things, the time to write a book about Arvo Pärt (for Oxford University Press). From 1996-2003 Hillier was Director of the Early Music Institute at Indiana University, a distinguished school of music with vast opportunities, but after seven years he felt himself too far removed from performance life. So in 2001, when he was offered the position of Principal Conductor of the Estonian Philharmonic Chamber Choir, he accepted it – and this initiated his return to Europe. 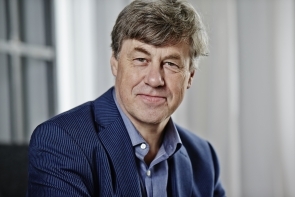 In 2003 he moved to Denmark and became, and remains, Chief Conductor of Ars Nova Copenhagen. Busy with both orchestra and choral conducting around the world, he still found time to edit the collected writings of Steve Reich (again for OUP). In 2006 he was awarded an OBE for services to choral music. In 2007 he received the Order of the White Star of Estonia, and was awarded a Grammy for Best Choral Recording (”Da Pacem” – Arvo Pärt). He received another Grammy Award for the David Lang CD ’The Little Match Girl Passion’. In 2008 he became Chief Conductor of the National Chamber Choir of Ireland and was appointed artistic director of the Coro Casa da Música in Porto. That same year he created his own music publishing company – Theatre of Voices Edition (TOVE: distributed by Edition-S and by Peters Edition in the USA). During 2009/10 he was artist in residence at Yale University’s Institute for Sacred Music, and performed in New York at the Bang-on-a-Can Marathon and at Lincoln Centre, also at the Royal Opera in Copenhagen, the Barbican Centre in London, and the Perth International Arts Festival in Australia. In the 2012 Grammy Awards show Paul Hiller was competing for the seventh time in nine years – nominated with Ars Nova Copenhagen and music by Pelle Gudmundsen-Holmgreen. In 2013 he was awarded the Order of Dannebrog – the Danish knighthood – by Her Majesty, Queen Margaret of Denmark.